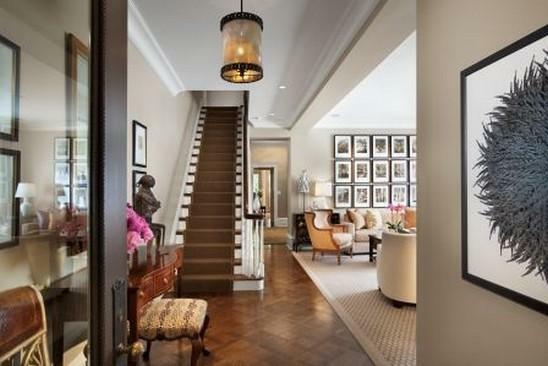 Entranceways or Foyers can be different things to different people and different style of homes. Take for instance our home entranceway is just an entrance and stairs. 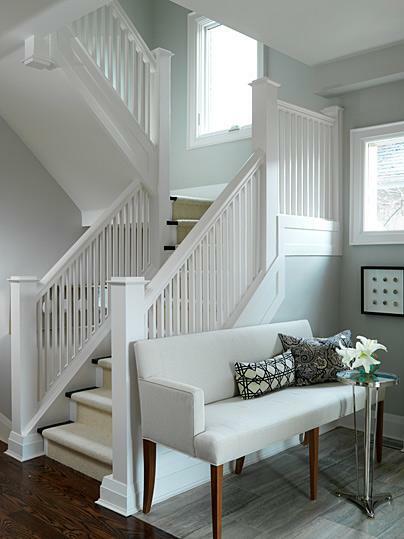 We live in a Hi-Ranch, so you have the split stairs going upstairs and downstairs with a landing. And our landing isn’t big enough for anything but a coat hooks on the wall. It isn’t enough, but it holds the coats we use on a daily bases, so it’s good enough. Well below are many different kinds of entrances. Pretty ones, small ones, large one or functional ones (ones with storage). Enjoy!!! I love this very feminine entrayway. It just seems like a very sweet place to be able to walk into your home. It would put a smile on my face every time I walked in the door. Even when you don’t think you have enough room for a table, there is usually room for some sort of table. At least you can use it to put down your keys so you don’t lose them. 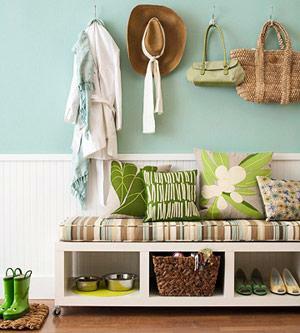 Love all the seating in this entranceway. Great way to welcome guests into your home. Come on in and stay awhile it says to me. I love how this entranceway pulls you into the rest of the house. H-E-L-L-O gallery wall in the Living Room. Gorgeous floor and rug too. I love this formal entranceway. Nice and wide and gorgeous wall color. 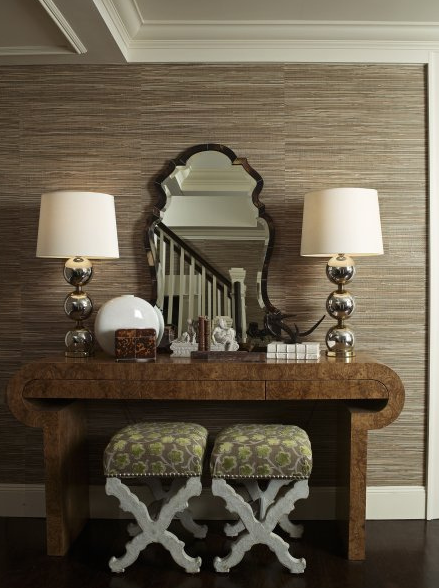 I love all the texture and pattern in this entranceway. 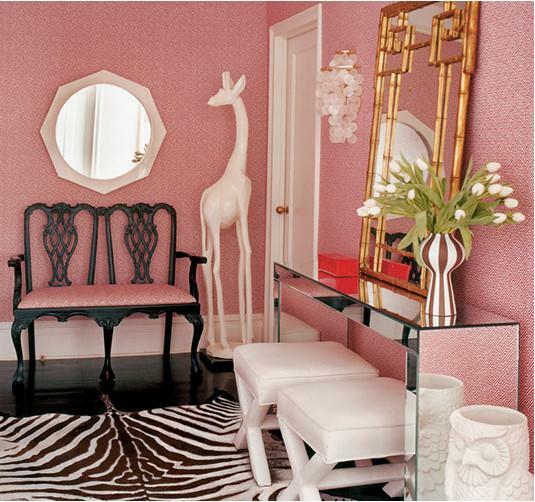 The ceiling, wall, mirror, stools, table, lamps. It all has texture and pattern that is very warming. 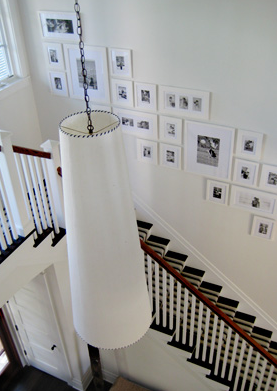 Between the stairs and the gallery wall…..you had me at hello!!! Here is another case if “you thought you didn’t have an entranceway”, but you do. Even if it’s small, you can still make a statement and even hang your coats. 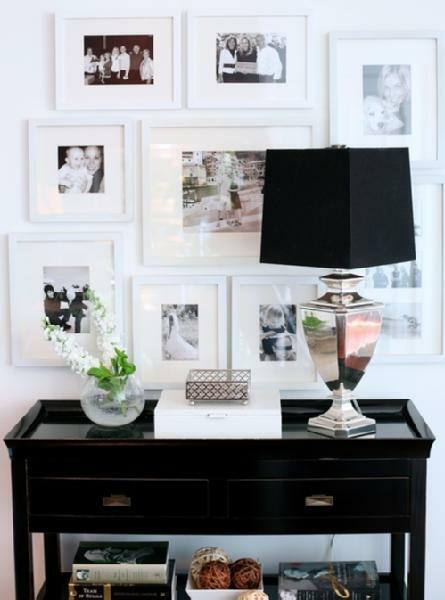 Gallery wall and console table to set down your keys. 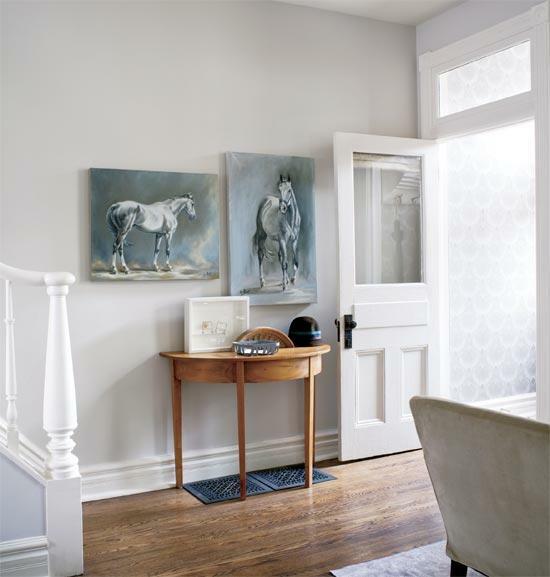 Check out this gorgeous foyer. 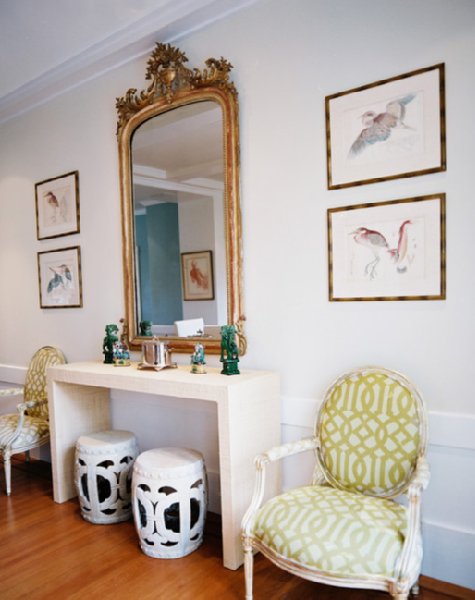 I love the light blue/green on the walls. So inviting, so airy. This picture is from Sarah Richardson. Love her work. 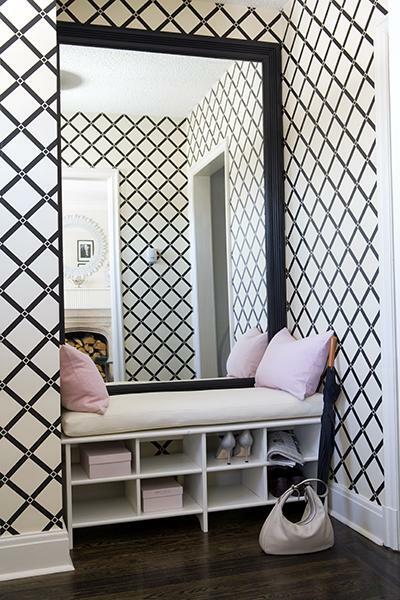 I love the rest of these pictures because they all have one thing in common….storage!!! 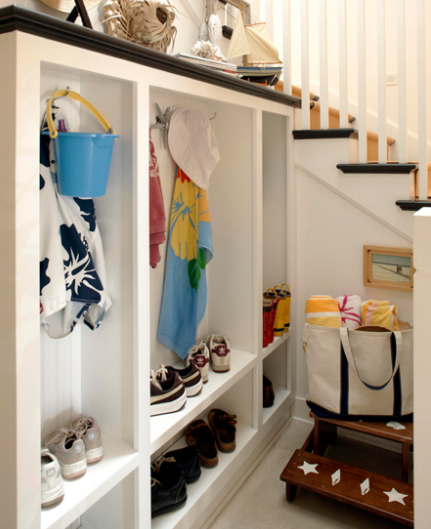 Just keep in mind that if more then one piece in each picture interests you, you can take all of those interests and make your own entranceway that makes you smile every time you walk in the door. Hope you enjoyed the Inspirational Eye Candy for today. Thanks for stopping by. I would love to hear from you, so please leave a message. Have a question about decorating, please feel free to ask on a post or email me. Have a great day everyone!! !